After being sacked from a high-power TV job, Joanna Eberhart and her husband Walter move out of the city to the small town of Stepford. It soon becomes apparent that things might be a little too perfect in Stepford. 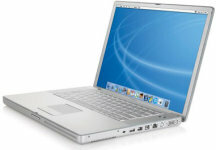 Joanna uses her Powerbook G4 to research the background of the Stepford wives, discovering that they all had positions of responsibility before moving to Stepford.